Cumbrian Lakes - Magnificent villa 4bedrooms /3 bathrooms – large swiming pool – luxury furnished and decorated. Private and exclusive gated community. Enjoy a perfect family vacation. There is plenty of space in the large screened deck, ideally for everybody relaxing in the sun beds while all enjoy the pool. 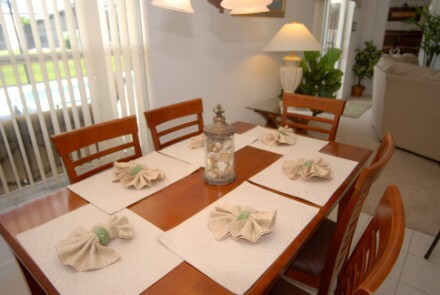 There is also a covered lanai designed to accommodate the entire family. Inside the villa is fully air conditioned and is luxurious furnished .The master bedroom has a king bed, 26” flat TV an also patio doors leading out onto the pool area; it has an en-suite bathroom with a separate shower. 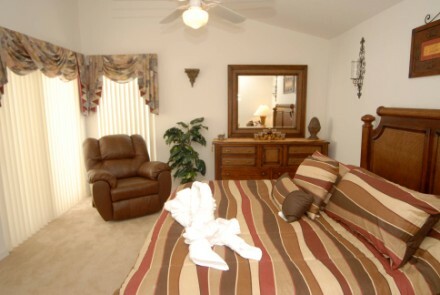 The second bedroom has a queen bed, 24 flat TV and a separate bathroom. 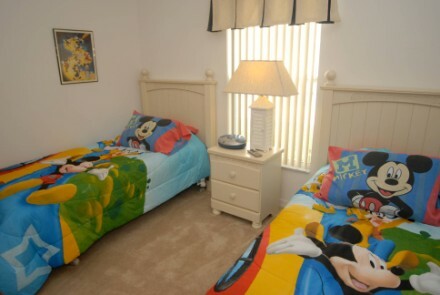 The third bedroom has two twin beds, TV & DVD and the fourth bedroom is the Mickey’s room specially decorated for the kids with TV and DVD. There is a share 3rd bathroom for these rooms. 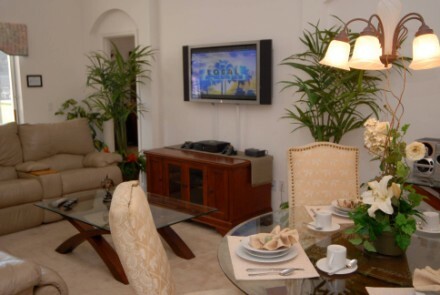 The beautifully living/dining area has big sofa for 7, a 42” plasma TV, DVD and an video game console with games. There is Wi-Fi high speed internet access in the entire villa. All doors and windows to the pool are fitted with child alarms. There is also a coded security alarm for your safety. 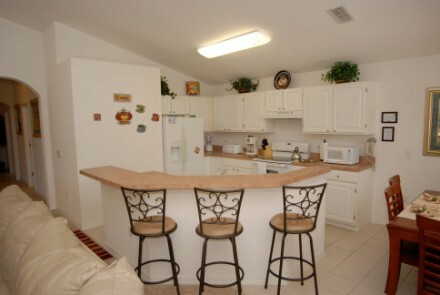 The kitchen is fully equipped with a fantastic nook area overlooking the pool. A range of equipment is provided including: oven, microwave, dishwasher, refrigerator, washing machine and dryer. Cooking utensils provided. The Disney attractions are approximately 10 minutes away and Sea World, Universal about 15 minutes. If you need a beach, each coast is about a one hour drive. The 192 is just 4 minutes driving and has a lot of different restaurants and shopping. There is a 24 hours Super Walmart at only 5 minutes from the villa. 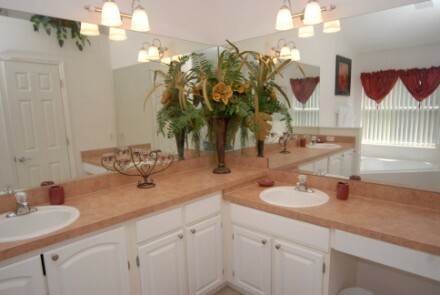 Take a look in our virtual tour. 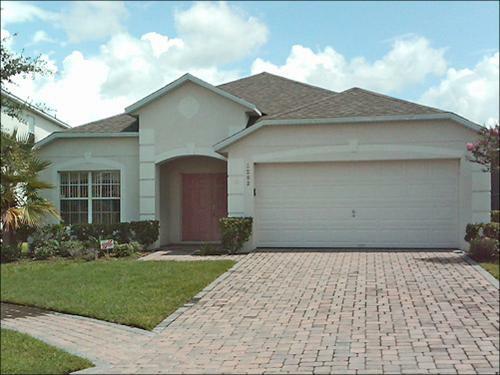 Cumbrian Lakes, Orlando is a gated villa community, conveniently located four miles along Poinciana Boulevard from Highway 192 in Kissimmee and approximately a 10 minute drive from Walt Disney World Resort. There is a 24 hour Wal-Mart located on Highway 192 within a short five minutes drive. In addition, there are several shopping centres, supermarkets and restaurants nearby. 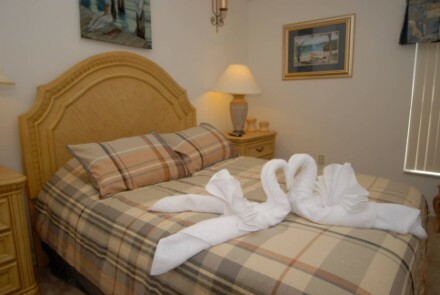 Cumbrian Lakes is only a short drive to the main Kissimmee tourist strip which is full of restaurants, local and tourist shops, convenience stores, shopping malls, cinemas, a multitude of leisure amenities including the Old Town Shopping and Entertainment Complex and the Orlando Area Attractions. Cumbrian Lakes is set in an Orlando conservation area - a haven for wildlife with lovely lakes and nice views. The holiday homes are wonderfully landscaped and there is a nature trail around one of the lakes. A children’s play area is also provided. The community provides a safe, quiet environment in which to relax after a busy day at the famous attractions and theme parks. Each rental home offers spacious living and dining areas, a fully equipped American sized kitchen featuring all the facilities and gadgets one would expect, including a separate utility area with a washer machine and dryer. 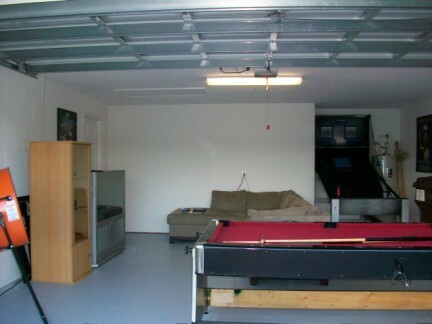 An integral double garage will keep up to two rental cars or mini-vans nice and cool, ready for trips out, each home with a private driveway.